Families Jewellery is a premier jewellery shop in Auburn that provides the best and highest quality of golds, bracelets, necklaces, rings at the lowest prices. We stock all the top end brands including Armani Exchange, Gucci, DKNY and more. We offer breathtaking jewelry to celebrate engagements, weddings, and more. Families Jewellery has been helping area residents find the perfect wedding jewelry and more for over 10 years. We have one of the most extensive selections of engagement and wedding rings in the city with a large number of different designs. Our master jewelers can also design and fashion one-of-a-kind pieces that are as unique as your relationship. Families Jewellery has been the leading jewellery in Western Sydney for over 10 years. We strive to produce the highest quality fine jewellery; to provide the best service and customer experience. We wish to exceed our clients' expectations each and every time we serve them. Whether you are searching for the perfect engagement ring, or a unique piece of jewelry for a birthday, anniversary, or any event, we have a reputation of helping our customers find the best value in diamonds, gold, and precious stones that really make a statement. Our expert jewellers are here to help you find the perfect piece to say what is in your heart. 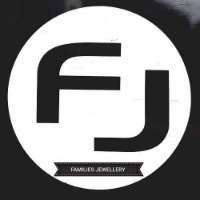 If you are looking for the best jewellery shop in Auburn, don't hesitate to contact or visit Families Jewellery today!